Door’s open, beds made. Welcome home pilot. I won EVE a few years back. Like many others, I did not simply walk away and forget this place, this community, this world that had kept me intrigued for nearly 9 years. I found myself popping back in for a moment here and there, Ganked turning 5, World War Bee with Spectre, trying to entertain some “Dirty Crims” and a couple of other times when I had the urge to check up on this most amazing of games. However, each time I tried again, I found myself with a problem, I really didn’t feel at home anywhere, so visits to EVE dwindled away. Eventually I came to realise that the only place I would feel comfortable, the only place I know I am content to provide content in EVE was the place I had called home for many years and had left behind back in 2015, RvB. And so earlier this year I resubbed to EVE, over 12 years since the firs time, spent some time reading through around 18 months of changes, sorting my stable of characters out then more recently rejoined RvB and I’ve never felt more welcome, even when I rejoined slap bang in the middle of my own life rearing its ugly head! So I am back in EVE, back in RvB and am looking at NPSI stuff too, I’ll see you out there folks!! Once upon a time, I won EVE. 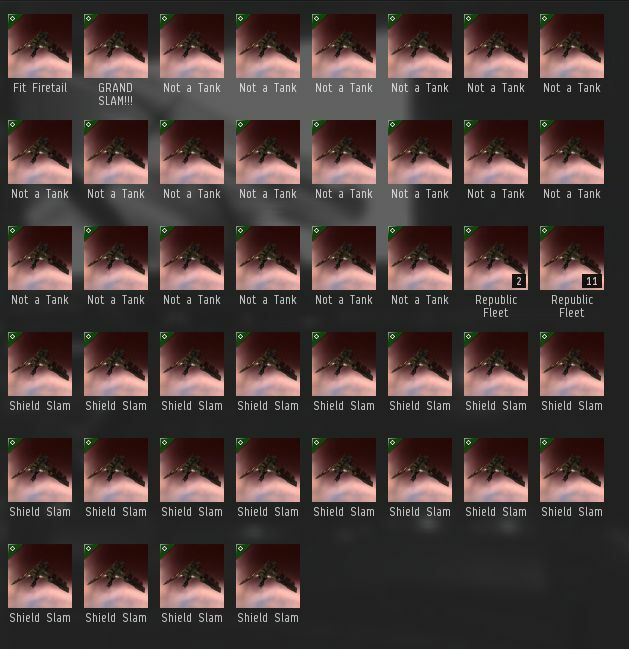 Then one day I stopped winning EVE and for a variety of reasons, I returned. I stepped back into the game just in time for a rather memorable Ganked, in which I even managed to FC for a short while. Followed by another great Ganked the week after. However, this wasn’t so much a triumphant return so much as it was me easing gently into the game. A game that had changed so much in the few months that I was gone. Then as quickly as I returned, I was gone again. Fallout 4 had released, and all my free time disappeared into the wasteland. I binged on Fallout any chance I got, putting in nearly 70 hours over the past few weeks, despite work eating into my free time as well! Fun thing is I haven’t even scratched the surface of the game yet, I’ve only JUST reached Diamond City…. Anyway, this post isn’t about me failing at failing to win EVE, nor is it about Fallout. Its about my indecision to find something to do in EVE now that I am back. My history so far in EVE is very much intertwined with that of the second iteration of RvB. I, like many others, started off with an alt there until one day I found myself at a lose end with my main, Mangala Solaris. I took the decision to move Mangala into RvB as a place to get some pew pew until I found a new home. It never quite worked out that way as the past five and a half years demonstrated. As RvB grew and changed, so did I. 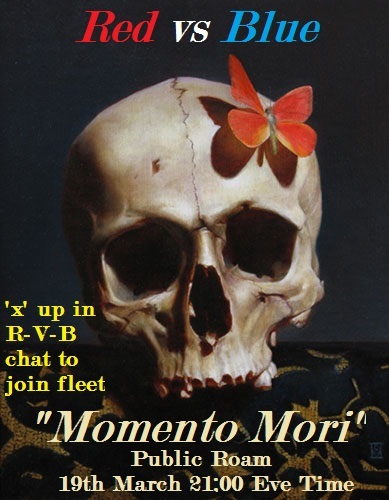 At first I was just a regular pilot, then I started acting as a backup caller, then fully fledged FC running multiple fleets daily both for RvB activities and against war targets, culminating with me becoming one of the main war time FCs when it came to the very large fleets that RvB was throwing at the world then, especially when fighting the folks over at EVE University and BNI. In conjunction with this, I organised many large events for RvB, and through the aegis of RvB Ganked, the EVE public. From simple roams right up to live streamed tournaments, I had to have a project rolling at all times. Knowing that others were enjoying their game experience kept me going. Until it didn’t. Now that I am back, this question is the one that is on my mind. After years of focusing on RvB, and groups connected to it, I am finding it incredibly difficult to decide on what exactly my next steps are. I know for certain I am not going to remain in RvB much longer. While RvB needs all the pilots it can get following some serious upheaval back in October, it is for others to rebuild it. I am content knowing that it will still be there, continuing to provide a home for many pilots I consider good friends. As someone who has played this game (on and off) for around 9 years, I have experienced quite a few aspects of the game, so it becomes pretty hard for me to narrow down my options to specific path. 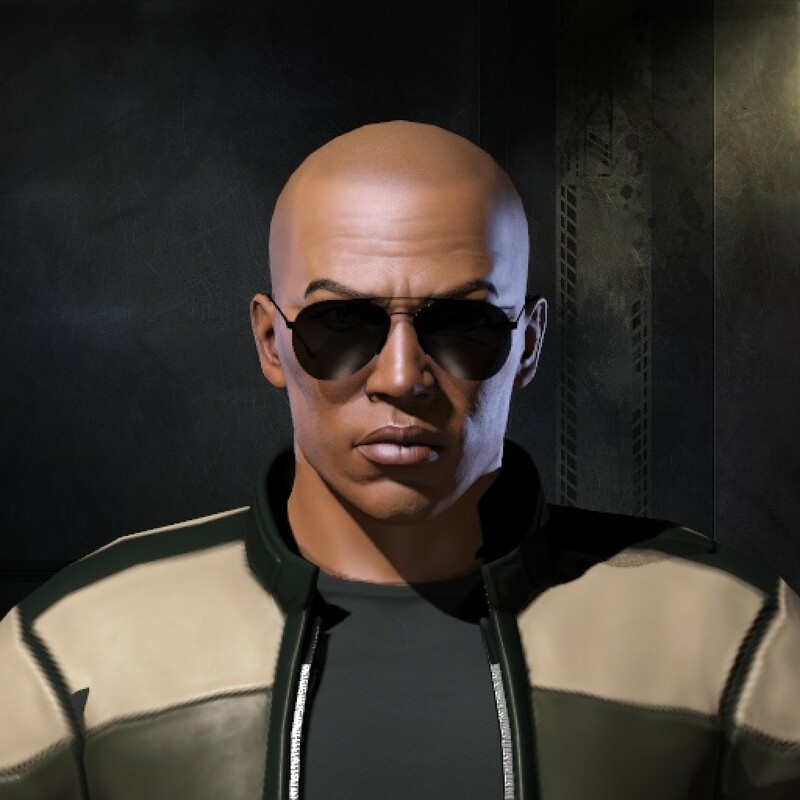 Despite my prior experiences, there are still parts of the game that I have little experience in – wormholes, FW in its current form, the other side of Empire war decs, piracy, small gang operations and even solo pvp; Additionally there are aspects of my EVE experience that I would love to delve deeper into, notably the support and building of NPSI communities in readiness for the day when CCP give social groups their attention. Of course I could ignore all the above and finally accept Doomchinchilla’s invite to his corp, and end up in Pandemic Legion. For now I am just going to keep up with some well needed asset consolidation and try to get some minor projects rolling, including FCing again. The environment of EVE has changed enough that rolling around with a few (or many) of you, destroying stuff seems like a fitting way to find some inspiration both for my own future and on how I will provide for you all. This morning a close friend, fellow pilot in RvB and all round top bloke, Dracoth Simertet passed away after a short battle with cancer. This cancer was diagnosed last October and while Dracoth and his friends within both RvB and the greater EVE community hoped for the best, it was not to be. Personally I am torn apart. I feel like I lost a true friend, and no matter that our friendship was mostly founded in EVE, I considered Dracoth as close as a friend as the people I see every day. His humour, even when directed towards me, was enough to lift your spirits at just the right time. His enthusiasm for everything was contagious, you could never feel down around him, even in the midst of a tremendous welp. By his passing, and the passing of other members of this community, I feel we are diminished; however I know these fallen pilots will forever leave an echo of themselves in and out of game thanks in to the community they called home. They will travel in the memories of those they touched, even when EVE is no more. I just know that I’ll miss my friend of the past 4 years. Several members of the EVE community asked me for details of anywhere they could donate in Dracoths name, I have been in contact with his family and they would prefer donations are made to The St John’s Hospice on the Wirral. This hospice provided considerable relief for Dracoth in his final days and survives only on donations, so anything you can donate will go to ensuring they continue to help those with progressive or incurable conditions. For ease of use, they do have a Just Giving page. This weekend I am hosting a 5v5 Tournament for RvB. This tournament is to be live streamed (on Twitch) and commentated. Currently RvB’s own Thecla Elarik, and the great Ceofore Aideron are signed up to commentate. We did have two more, however apparently studies and getting your insides cut open are more important to those people. Anyway, this is a VERY last minute call to anyone who would fancy joining Thecla and Ceofore in commentating the matches. Check out the rules, prizes and so on below. Schedule is here, get in touch if this interests you with a slot you can fill in to commentate. You can get an idea of what you are in for by watching a tournament from earlier this year, that was ran in the same way. Videos are here and here. NO podding – do so and your team will be disqualified. Team that goes into the Finals as the Victor of the Winners Bracket, will be allowed to issue 1 ship ban in the 1st and 3rd “Best of 3” matches. Team that goes into the Finals as the Victor of the Losers Bracket will be allowed 1 ship ban in the 2nd “Best of 3” match. A great discussion just cropped up in the RvB Ganked channel and it lead to this post. To cut a long story short, RvB Ganked (otherwise known as a vehicle for my ego) is lacking two things. Firstly a video that does a great job of introducing Ganked to newbies/those unfamiliar with Ganked and public fleets in general. This would be a great thing to have at hand to show off to folks with. 1920×1080 resolution with a 1:1 pixel aspect ratio, failing this you can submit as 1280×720, adverts will not be accepted in any other resolutions. Video should not contain black bars either horizontal or vertical. Anyway lets brainstorm a few ideas in the comments as the weekend moves on, and we can start blagging people into doing us huge favours and making videos!!! 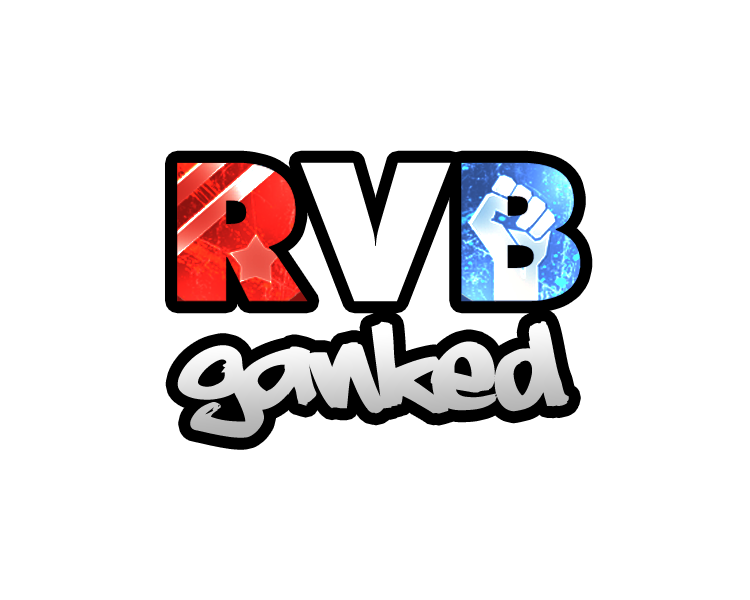 FYI: Ganked logo is here. Go back to around 14.00 EVE on the 7th June 2014. They’ll win a Navy BC of their choice. On the 7th & 8th June, RvB will be holding a tournament for its members, the RvB Spring Cup. A tournament with a prize poll of around 20 billion ISK. We will be using a points system as with the AT, SCL & NEO. This will make for more interesting matches as the points & rules do not allow you to just bring 5 mallers!!! Faction ammo is fine. Pirate ammo is frowned upon (and will be demanded as tribute to the AT team anyway if you use it). Faction drones are fine. Augmented drones are frowned upon (and will be demanded as tribute to the AT team anyway if you use them). NO Deployables. Only I will have one out, and thats an MTU. A MAXIMUM of 3 of the same ship types are allowed per setup. Example 3 x caracal 1x burst 1x random frig is fine; 4 caracal 1 x condor would be bad. This includes skinned ships. Only one T2 logistics cruiser OR T1 logistics cruiser OR T1 logistics frigate per team. The arena will be have a radius of 200km. Leaving this arena bubble will mean disqualification. Matches to last 10 minutes. No more. (In the event of a tie, an extra 3 minutes sudden death combat will be added and the arena will reduce by 50km. First side to kill a ship wins the match). Team that goes into the Finals as the Victor of Match N, will be allowed to issue 1 ship ban per the final “Best of 3”. The Spring Cup will be held on TQ over two days. Schedule of the matches is here. Now, I would like this event to be streamed and commentated upon, again as you see with the AT, NEO & SCL. Currently we have some commentators lined up: Mizhir of the One Man Crew project, Connall Tara of Fly Reckless, RvB’s own Thecla Elark and Catalyst XI amongst them. Not all of these gents will be in a position to stream while commentating due to circumstances beyond their control. Connall is very much willing to be the host of the event, for instance constantly running on the RvB Ganked mumble with other commentators, feeding match commentary and between match chatter to a group of dedicated streamers, Mizhir and Thecla are both very technical individuals with a great depth of tournament experience who will give us that “real” feeling when it comes to the matches themselves. As I say above I would love for this to be streamed, and this is were the EVE streaming community comes in, I am looking for streamers who want to provide visual of the matches across the day, streamers who know both what they are doing and how to present this tournament in the best way to the viewing public, and in as professional manner as possible. You would also be in a position to commentate on matches along side the people named above as well. Done right and this could really work in your favour as free publicity for your streams, as well as for RvB. I am even willing to provide a PLEX for your services as the tournament will take a lot of time to cover I am sure. If you are interested, you can mail Mangala Solaris ingame, leave your thoughts in the comments to this blog or find me on the RvB Jabber from Wednesday onwards. I really am a stream novice, totally in awe of people who spend their time working that medium to its fullest, so anything you have to say on how to make this a reality will be appreciated. If you have Jabber issues, give @Khador_Vess a shout on twitter for assistance. Additionally I am looking for interested parties to help with refereeing on the weekend, team managament between matches and so forth. I have some volunteers from within RvB, but more is always good for that too, as the event is quite long over the two days. This coming Easter Weekend, RvB Ganked invites you all to join us for a weekend of wild abandon, drunken comms and crazy carnage. We will be running Saturday, Sunday and Monday! Details of everything are found below, please note that we will be using the Ganked Mumble for all comms over the weekend. Theme: Autocannons, Shield, MWD, Minmatar. BC, Cruiser, Frigate. Tackles needed, Ewar needed, Shield Logis highly needed. Now as this is resurrection day, we will be reprising a couple of my favourite themes from the past few months. Prophecies, Harbs, Omens, Mallers, Arbies, Ashimmu’s, Cruors etc. Armour logi will be excellent. Tacklers & Bubblers (Hics & Dics) too. Armour fit, short or mid range. A nice spread of these would be great. Armour logi, tackle, ewar, bubbles, and PROBES!!! !